Time-to-market, energy- material- and cost-reduction are some of the main driving factors for success in the manufacturing industry. 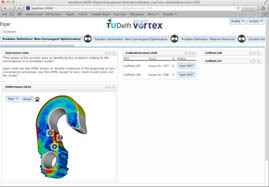 Optimized designs, which fulfill all physical requirements and constraints, are based on virtual design methods that use finite element simulation techniques to achieve requirement like stiffness, minimal weight and dynamic behavior at the same time. The optimization process is an automated iterative process based on a number of Finite Element simulations and an intelligent optimization approach. The complexity of the optimized components leads to requirement to create simulation models consisting of millions of elements. Due to the complexity of the models and the huge amount of data produced during the process the optimization is normally performed on a compute cluster with a high performance. During the process the optimization system has to decide for each small element (like a "Lego brick") if the element has to remain in the structure or if it can be removed. 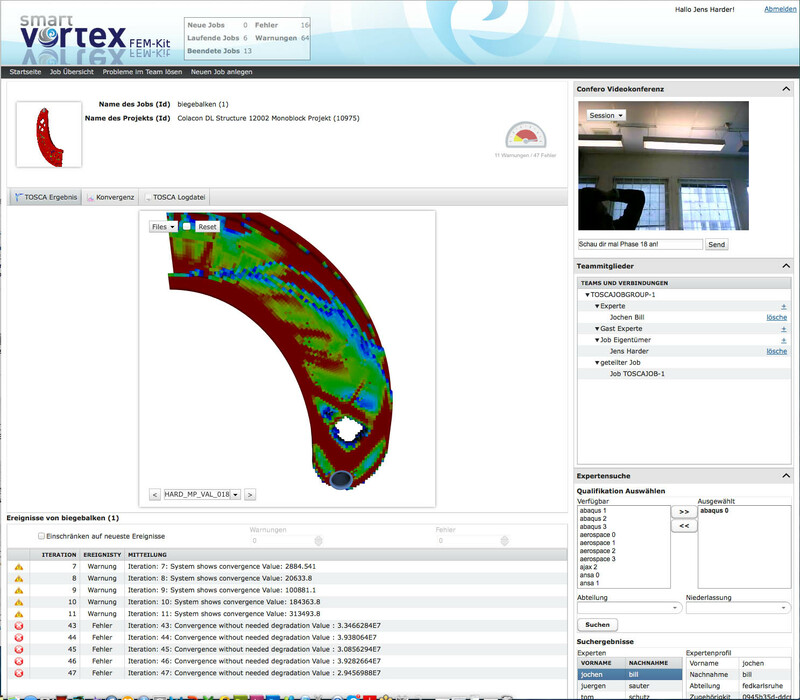 Complex simulation cycles can last for days up to weeks. Therefore it is very important to be able to reduce the number of optimization iterations. The success of the process is dependent on the possibility to find a valid solution, which fulfills all the given requirements. In the ideal situation the constraints are chosen correctly so that the optimizer is able to find a configuration of material, which is valid. The existence of a solution cannot be predicted before the iterative optimization process is executed. Within the first iterations it is up to the user to perform some kind of a trend analysis based on the current situation, which can be monitored from the simulation results and the current material distribution. The earlier the user recognizes trends, which are not efficient the earlier he can react and start a new simulation cycle with changed parameters or a change of the simulation or optimization model. This reduces the entire simulation time dramatically. But to perform that, all members from different departments involved into the definition of the requirements of the developed components have to communicate, which constraints can be modified (to be less restrictive) to allow the optimizer to find a valid solution. Also the simulation models have to be changed in some cases if e.g. the optimization progress shows that some physical boundary conditions are not transferred correctly to the optimization model. This requires collaboration by people from different domains (e.g. acoustic, mechanical and production engineers) to come up with a set of optimization and simulation settings leading to an optimal design proposal from the simulation and optimization system. The Expert Search supports the identification of specialists to let them join collaboration sessions and to help contributing to an optimal result. 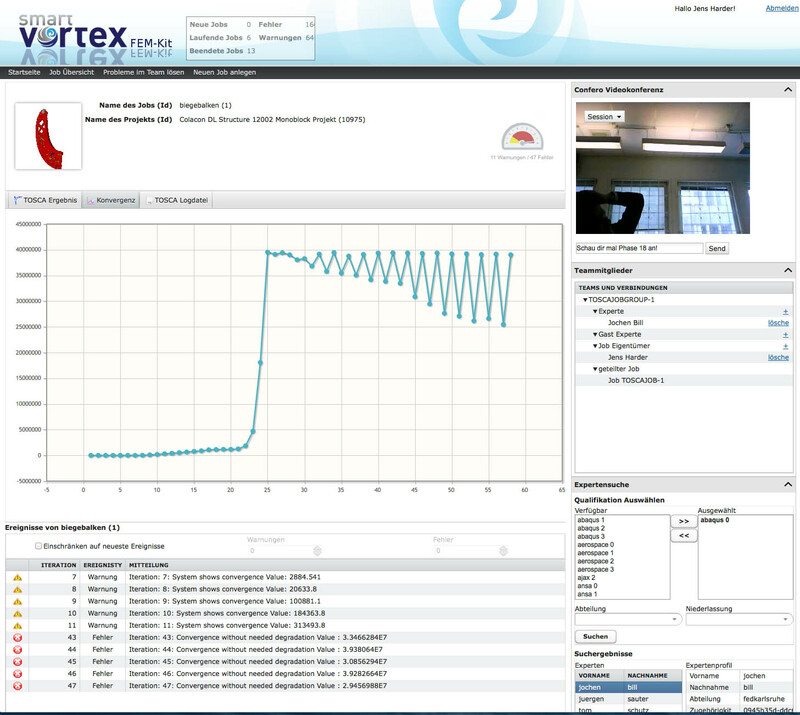 The FEM-Kit application is used to build solutions that support the monitoring of the process (extraction of data, plots and visualization, the early recognition of undesired trends) and initiate the collaboration and the decision making process of engineers if required. FEM-kit protects also the intellectual property rights (IPR) applied to the design. Sharing data within a collaboration session follows strong IPR rules. These rules can be structured down with finer grain to an object level inside a data file. 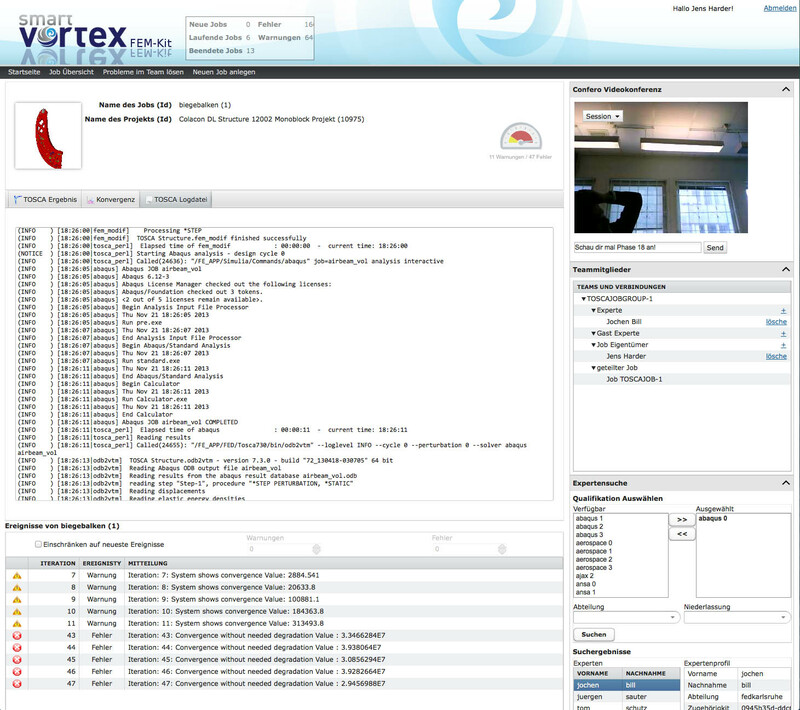 By employing the DSMS and by using intelligent feature extraction methods it is possible to control the progress and the potential of the optimization process via an advanced user interface. Tools for generating shared understanding between different engineering domains are supporting the overall "engineer-2-engineer" interaction. In addition, by capturing user interaction and activities, such as executing certain simulations or the identification of socially contextualized decision-making events, the design rationale of product data and thus important knowledge gets preserved. As a result of such analysis activities, design changes, or adoptions can take place and the optimization process can start again to enable the optimization system to find a better design proposal. 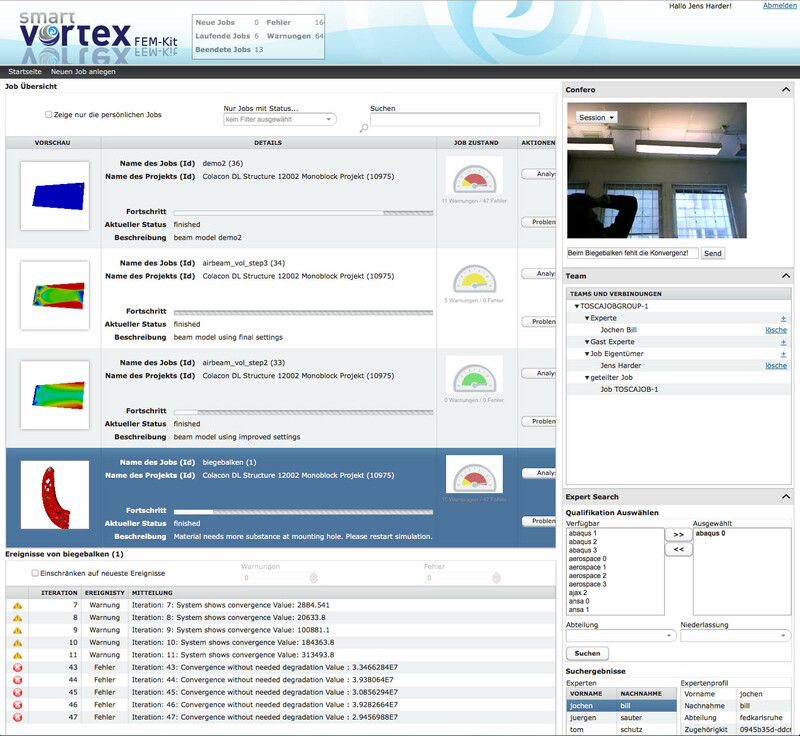 The results are derived from the SmartVortex project co-funded be the European Commision.